Generation provides a full range of components for hire and sale for Timber frame edge protection. 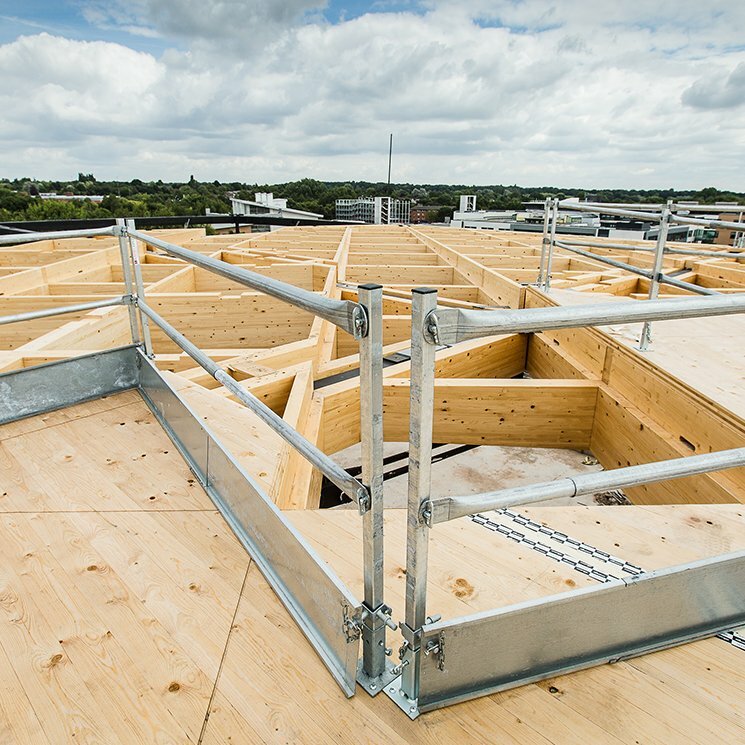 Like with our steel frame edge protection, you can install our components for Timber Frames on the ground making installation safer and more efficient. We are also able to supply you with top fix solutions and side fix solutions and handrails or mesh barriers can be used.